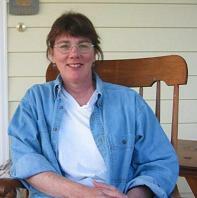 Cindy Shamel, experienced harvest manager, founded this blog in August 2011. She has been canning, freezing, and drying the never ending stream of produce from her husband’s gardening since 1975. Cindy’s Motto – waste not, want not. It is time to deal with my abundant parsley crop. Any suggestions for preservation? Good question! Stay tuned for a parsley posting. For using a generous portion of the fresh crop, have you tried taboulli? It’s about half and half fresh parsley and a grain (bulghur, quinoa, etc.) – plus scallions, olive oil, halved cherry tomatos . . . Excess, fresh picked parsley can easily be preserved by rinsing, removing tough stems and packing tightly into a ball in a ziplock freezer bag. No chopping necessary! Make it a tight, tight ball, and remove the air by squishing the parsley into a corner of the baggie, then twisting the excess air out of the bag. Once frozen, all you need is your potato peeler to shave off what will taste like fresh parsley. Pop the rest back into its air-tight baggie and back in the freezer. Lasts for months and is great for topping pastas, garlic bread and the like. Great suggestion, Anne! I look forward to giving it a try. I imagine this would also work for cilantro.